From sweeping forests and gardens, to some of the liveliest, trendiest nightlife spots in Europe, Berlin is definitely a city of beautiful contrast - It boasts a fantastic mix of stylish and heritage attractions. The city is lauded for its famous nightlife, Bohemian party-spirit, and must-see landmarks like Checkpoint Charlie and the Brandenburg Gate. Its rich cultural heritage and relaxed atmosphere make it the ideal place for a disabled city break. Berlin a fantastic disabled holiday destination. 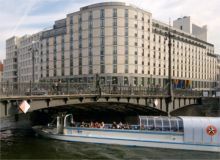 The Meliá Berlin hotel is located in the heart of the German capital just a few minutes walk from famous monuments and tourist attractions such as the Brandenburg Gate, Museum Island or Alexanderplatz. Situated in Berlin's Mitte district, this apartment hotel is near Friedrichstrasse, the area's main shopping strip, and close to Checkpoint Charlie and Gendarmenmarkt. Enjoy the home comforts of a one or two bedroom apartment or studio apartment. 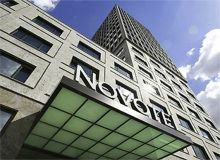 Conveniently located near the airport in the Tiergarten neighborhood of Berlin, Novotel Berlin Am Tiergarten is close to Technical University, German Chancellery, and Berlin State Library. Also nearby are Berlin Zoo and Brandenburg Gate. Experience classical comfort combined with contemporary features. Located in one of the fastest emerging neighbourhoods in Berlin, discover a new creative scene just around the corner with upcoming fashion labels, art galleries and modern clubs. 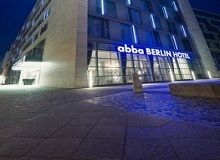 Situated in the city centre alongside Kurfürsterdamm avenue and the KaDeWe department store. 214 Rooms. Meeting rooms for up to 500 people. Coffee Bar, Restaurant, Gym, Jacuzzi, Sauna, TFT screen televisions in rooms and Garage. In one of the most vibrant areas of Berlin-Mitte, where creativity and art come together, nestles the warm and cosy Arcotel Velvet Berlin. Thanks to the attractive location the hotel is a perfect place to stay for culture, entertainment, fashion and for discovering Berlin’s sights. The hotel offers a restaurant and a coffee shop/cafe. Guests can unwind with a drink at one of hotel's 2 bars/lounges. All 561 rooms offer free WiFi, flat-screen TVs with digital channels, and free bottled water. laptop-compatible safes, and phones are among the other amenities that guests will find. Hotel Mondial am Kurfürstendamm features an indoor pool with pool hoist and a sauna . The hotel offers a restaurant. A bar/lounge is on site where guests can unwind with a drink. Public areas are equipped with complimentary high-speed wireless Internet access. 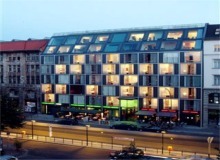 Located in Kreuzberg, this hotel is within a 10-minute walk of Tempodrom and Checkpoint Charlie Museum. 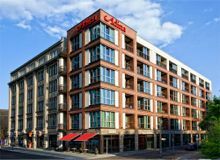 All 146 soundproofed rooms feature free WiFi and pillowtop beds. Flat-screen TVs come with satellite channels, and other amenities that guests will find include free newspapers and hair dryers.